18 October / New electric car rapid chargers were installed in the City Centre with the support of the SmartEnCity project. They will be ready for use starting on 1 November. The new rapid chargers are located between the Aura Water Park and the sports hall on Turu Street (two chargers), on the corner of Väike-Turu Street and Soola Street (in the car park across the street from the bus station), on the corner of Küüni Street and Uueturu Street (between the Kaubamaja and the park on Poe Street) and on Poe Street near Vabaduse Avenue. 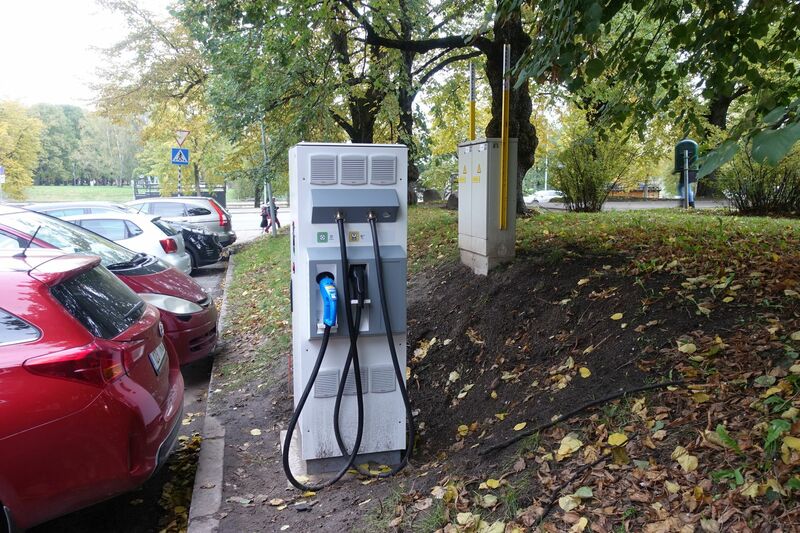 According to Deputy Mayor Raimond Tamm, the goal of installing the chargers is to promote the use of electric cars in Tartu. The demand for charging opportunities for electric cars has grown from year to year within the area of the City Centre. ‘The presence of a diverse charging infrastructure is very important when it comes to the promotion of environmentally friendly electric transportation. Our new rapid chargers permit the charging of various electric cars manufactured in Europe and the United States, which could previously not be charged with the rapid chargers in Estonia,' said Tamm. The cost of purchasing and installing the rapid chargers was EUR 119,274. The acquisition and installation of rapid chargers was financed from the international project SmartEnCity, during the course of which an energy efficient city district, operating based on smart solutions, is being created from the Khrushchyovkas located in the City Centre.